Tylicki, Stanley, TAMARAC [FL], died Thursday. Kraeer Margate Funeral Home. Stanley enlisted in the Army at Fort Dix, NJ on 5 November 1941. On 16 October 1942, Pvt Tylicki was transferred from the 507th PIR to the 508th PIR as a cadre team member. He was assigned to Hq 1st and on 17 August 1943 he was appointed to the grade of Pfc. 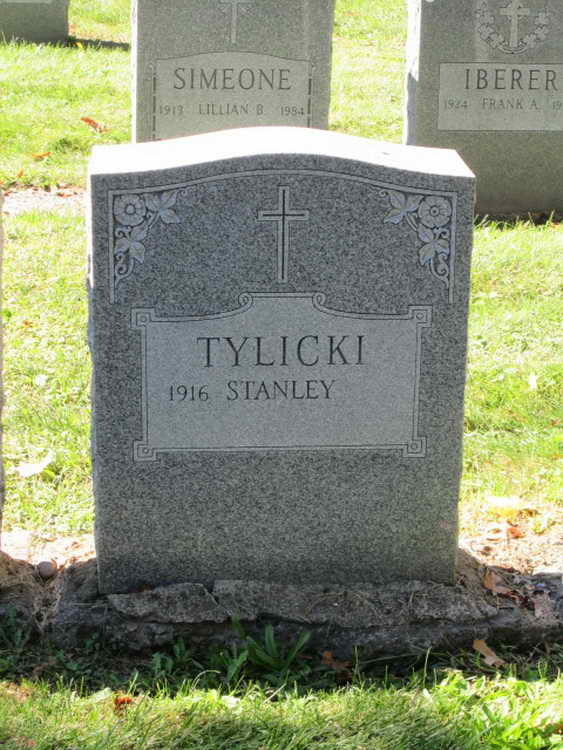 Pfc Tylicki was wounded in action in Holland on 28 September 1944 but remained on duty. On 2 February 1945 he was promoted to Tec/5. His military decorations include the Silver Star, Purple Heart, Combat Infantryman Badge and bronze service Arrowhead device, both awarded for action during Normandy, France Campaign, 6 June 1944 to 9 July 1944.